Your desire to quit smoking is a good start to your life. 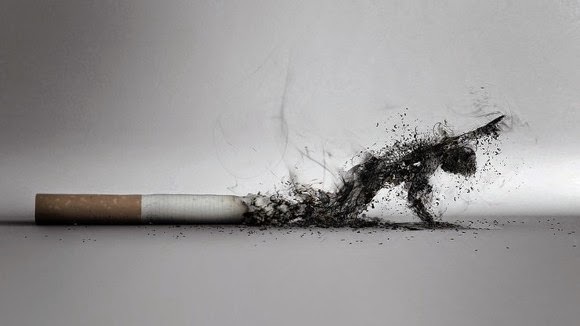 You know smoking damages your life and your health, smoking also damages your lungs breathing and damage your heart. There is no effective way to stop smoking that is right for everyone. To stop that habit then you must be ready emotionally and mentally. You also have to want to quit smoking for your deep inside. The following guidelines can help you to begin to stop smoking. What The First Step To Stop Smoking? Specify the time to quit and what you obey and do. Write your reasons why you have to quit smoking. Read that list every day. 1. Record every time you smoke, why you smoke, and what do you do when you smoke. By doing so, you will learn what triggers you to smoke. 2. Stop smoking in certain situations (such as when the work breaks or after dinner) before you actually quit smoking. 3. Make a list of activities you can do instead of smoking. Be prepared to undertake other activities when you want to smoke. 4. Talk to your doctor about the use of nicotine gum or the nicotine patch. Some people find the use of it can help. There are also medications called Wellbutrin and Chantix to help you quit smoking. 5. Joining a support group or smoking cessation programs. How to Avoid For Not Smoking Back? 1. Do not carry a lighter, matches or cigarettes. Keep all objects that cigarette reminder of your sight. 2. If you live with a smoker, ask the person to not smoke in front of you. 3. Do not focus on what is missing, but think what you get a more healthy way of life. 4. When you get the urge to smoke, take a deep breath. Hold for 10 seconds and exhale slowly. Repeat several times until the urge to smoke is gone. 5. Make your hand busy. Draw something, play with a pencil or straw, or working with computers. 6. Change habits associated with smoking. Take a walk or read a book instead of resting with smoke. 7. As hard as possible to avoid people, places and situations associated with smoking. Associating with nonsmokers or go to places that do not allow to smoke, such as theaters, museums, shopping, or library. 8. Do not replace cigarettes with sugar based products such as candy. I recommend you eat a healthy diet low in calories (like carrots or celery, sugar free hard candies ) or chew gum when the urge to smoke arises so that you can avoid weight gain. 9. Drink plenty of fluids, but limit alcoholic and caffeinated beverages. The drinks can trigger the urge to smoke. 10. Exercising. Exercising will help you to relax. 11. Get the support of others to quit smoking. Tell others about how far you are in the stages of smoking cessation with pride. 12. Meet your doctor to create a plan using OTC or prescription for nicotine replacement aids. What I Feel When I Quit Smoking? When you quit smoking, you may really want a cigarette, you also may feeling very hungry, irritability, often cough, sometimes headache or you get difficulty concentrate. These symptoms normally withdrawal happens because your body is used with nicotine from smoke, that is an active ingredient in cigarettes that causes addiction. When withdrawal symptoms occur within the first two weeks after you stop smoking, you still need to be in control. Think about your reasons for quitting. Remind yourself that it is a sign that your body is in the process of healing and getting used to life without cigarettes. The withdrawal symptoms are only temporary. Strongest withdrawal symptoms when you first quit but will usually subside within 10 to 14 days. Keep in mind that the withdrawal symptoms are easier to treat than the major diseases caused by smoking. You may still have the urge to smoke, because of the strong association with smoking. People may associate smoking with certain situations, with a variety of emotions, or with certain people in their lives. The best way to overcome this association is to feel it without smoking anymore. So if you feel want to repeat the smoking habit, do not lose hope. 75% of people who quit smoking will smoking again. Most smokers quit three times before they managed to actually quit smoking. If you relapse, do not give up! Create a plan and think about what you will do when you get the urge to smoke. To motivate you, to stop smoking, the risk of heart attack is reduced by half. After 15 years of quitting smoking, your risk is almost the same as those who never smoked. Do not forget, you also save the family and your close friends from the danger smoke you describe to them.